First in a series of three lectures. Tonight’s topic is William Blake. This spring join us for a three-lecture series with Dr. Sue Weaver Schopf, who will explore the question that often has been asked in studies of the sister arts: What are the artistic possibilities when painting and poetry work in tandem to convey ideas and express emotion? William Blake and Dante Gabriel Rossetti were both painters and poets who experimented with the potential of each medium. When they began to illustrate their poetry, however, they discovered the full range of expression possible when the visual and verbal arts function as compliments to each other. Among the many poems of the 19th century, none were more frequently illustrated than those by Alfred, Lord Tennyson. What drew artists to his poetry, and how did their paintings enhance or further elucidate the author’s works? This first lecture, on William Blake, will focus exclusively on his Songs of Innocence and Experience. Review the poems and images before the lecture! The link to the texts of Blake’s Songs of Innocence & Experience is at: https.//www.gutenberg.org/files/1934/1934-h/1934-h.htm ; and the link to the accompanying images is at: https://www.bl.uk/songs-of-innocence-and-experience. Dr. Sue Weaver Schopf will explore these interesting dynamics in a three-part lecture series, which begins with William Blake on April 20 and continues on May 16 with Dante Gabriel Rossetti and June 6 with Alfred, Lord Tennyson. A list of poems to be considered will be available before each lecture. Dr. Schopf is Distinguished Service Lecturer and retired Associate Dean at the Harvard Extension School. 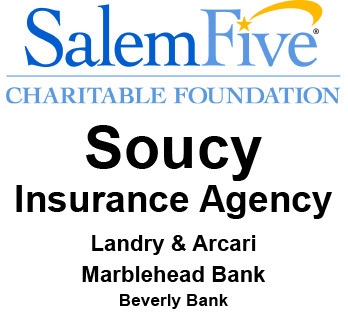 She has served on the board of the Salem Athenaeum and is a member of the Athenaeum’s Cultural Program Committee. Observe Earth Day at the Athenaeum and help us prepare the grounds for spring and summer. Bring your own garden gloves and hand tools, if you have them. We have some rakes and tools available so please come even if you do not have your own. 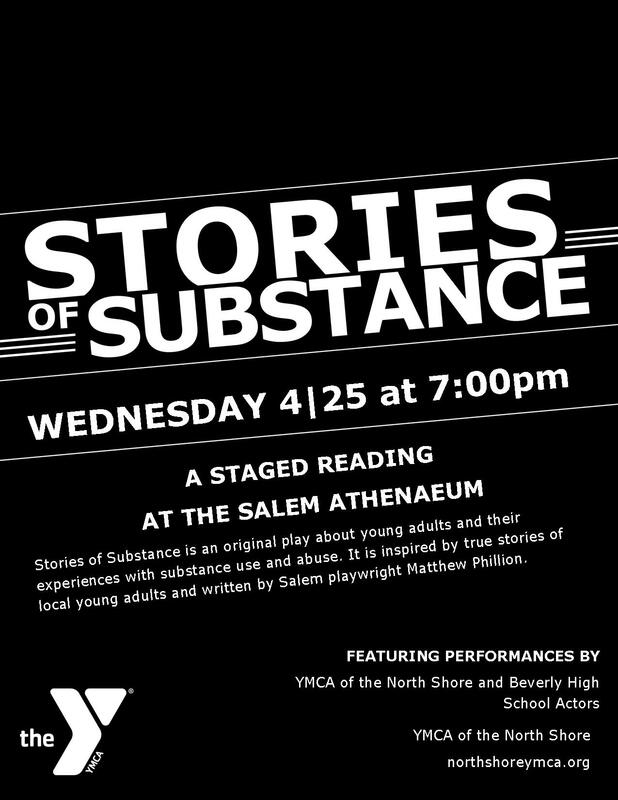 Stories of Substance is an original play about young adults and their experiences with substance use and abuse. It is inspired by true stories of local young adults, developed and written by Brunonia Barry, Anne Lucas, Lisa Jendrysik, Matthew Phillion and director Damon Krometis. 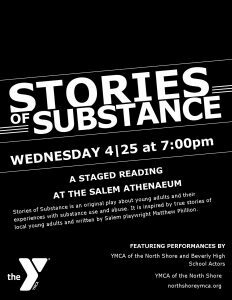 The play originally premiered with local student actors at the Salem YMCA in 2017 and has been performed in North Shore schools. 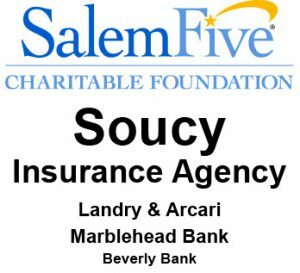 Please note that this year’s meeting is being held on the second Wednesday in May rather than the usual first Wednesday in May.